Carl ‘The Cat’ Thompson is still remembered fondly by British fight fans as one of the most entertaining, no-nonsense fighters to come out of the fabled boxing city that is Manchester. Thompson’s career ended with the vindication it deserved, with a victory over future hall of famer David Haye to become IBO World Cruiserweight adding to his British, European and World titles and capping off what was a fantastic career. Thompson looked back at the victory against Haye, who went on to become a world boxing great, becoming Undisputed World Cruiserweight Champion and WBA World Heavyweight Champion. Thompson said, “David Haye was the man at the time, he was undefeated and was bombing everyone out. He beat me up for the first 3 rounds but he didn’t bank on me taking his best shots and he didn’t plan for that. People always question why Haye and Thompson never had a rematch. Thompson offers his views on the subject. 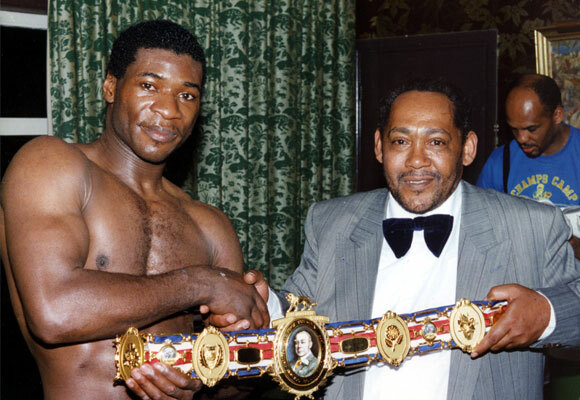 Thompson also held two victories over Chris Eubank, becoming the first and only man to ever stop the 2 weight British legend. ‘The Cat’ discussed the Eubank fights and the legacy he left in boxing. “Eubank was one of the best fighters I boxed. He was a great fighter but after the first fight, I made the adjustments to make the second fight easier. That was to pressure Eubank and not let him know when I was hurt, which was a tactic I’d used throughout my career. “Chris was a great fighter, he had great variety but I knew what I needed to do to beat him. He wasn’t strong and that was one of the keys to victory. I have always been a big time cruiserweight fan. We wouldn’t get any of these shows in the USA, thank you YouTube. But guys like Thompson and Troy Ross were beasts. Very fun era with Briggs, Cunningham and adamek. He was a tough as nails fighter and deserves the recognition he gets.